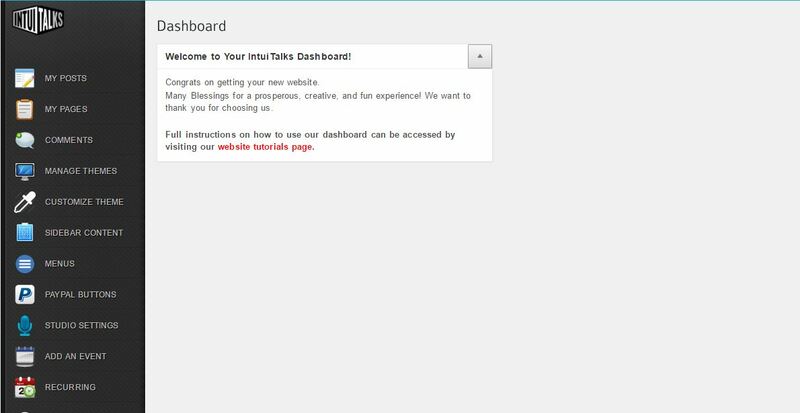 Your dashboard houses everything you need to edit and keep your site up to date. 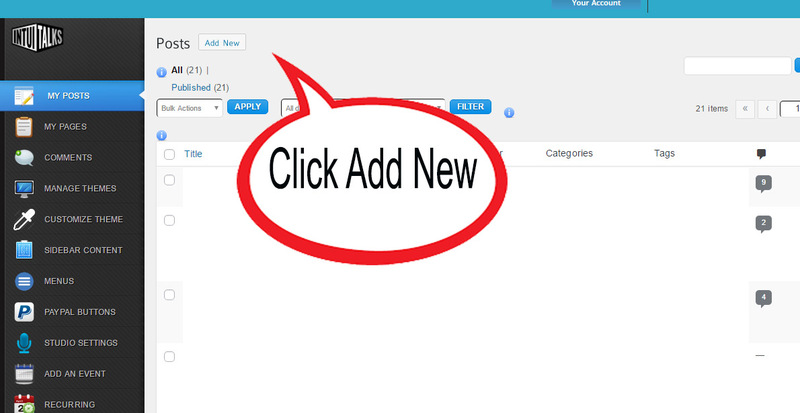 Here you can create new pages, add pictures and videos to your site, and also add events, classes or shows. Click on ‘my posts’ in the left column, then click on add new to create a post to add to your website. All site posts are displayed to the right of the IntuiTalks news feed and other areas throughout our site. To learn how to add media click here. 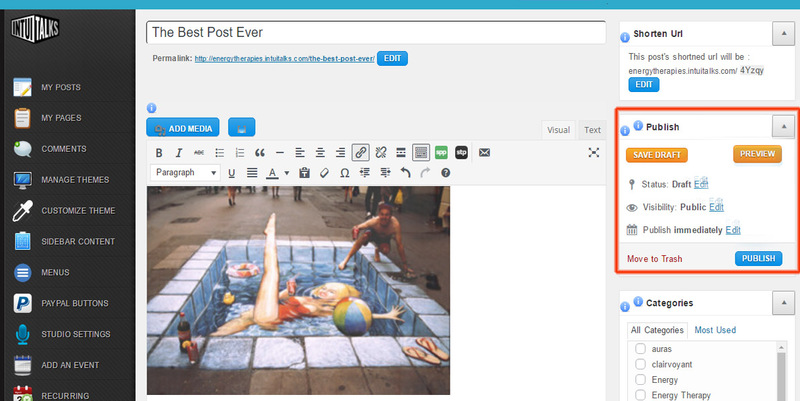 Once you have completed your awesome post, click preview to see how it will look when it goes live on the web, if you are happy click publish. If you want to come back to the post to add more content, click save draft. It will not go public until you click publish. The steps for adding a page are exactly the same as a post. Click ‘my pages’ on the left and then click add new. Add a title and fill out your page. 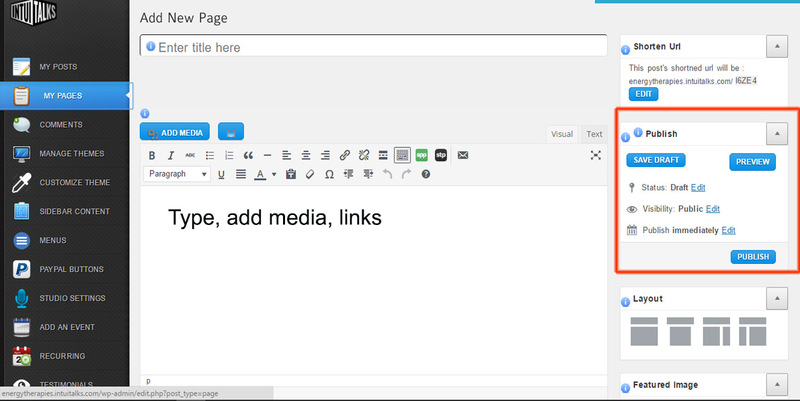 Click update to save, and preview to see how your page will look when it goes live. 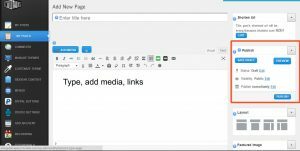 Click publish when you are ready to share. 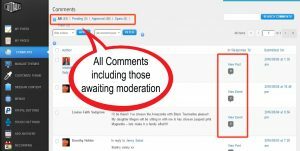 When someone makes a comment on your page or post, you will receive an email asking you to approve or disallow. 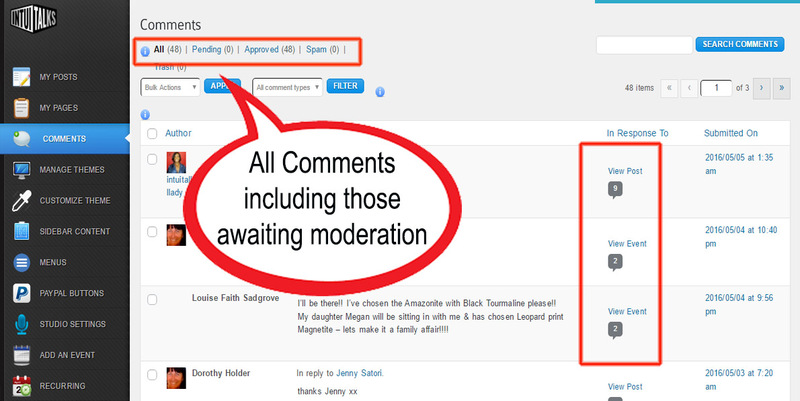 If you allow a comment it goes live and is publicly viewable by everyone who visits your site or post. Each comment thread is visible to you along with who made the comment, when and on what post. 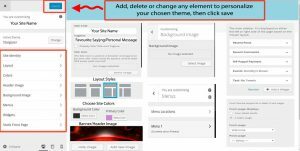 Choosing a site theme couldn’t be easier, it is all ready for you to click and view. Once you open a theme you can activate it and add content. 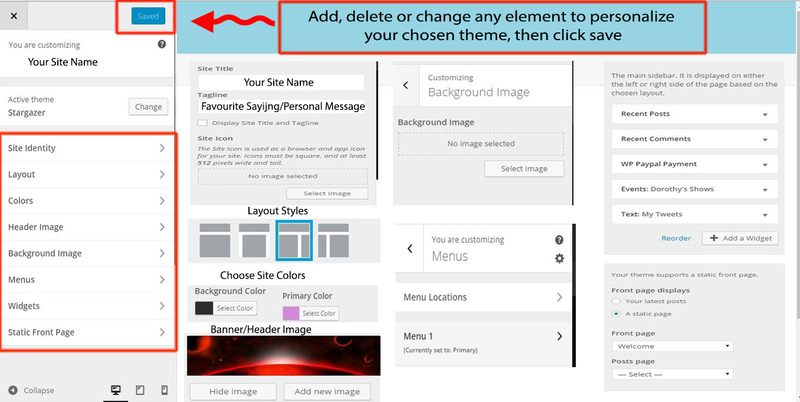 If you change your mind later you can select another theme that is more in line with what you are trying to present. Adding elements or removing them is simplified with a clear and easy customizing tool. Customizing determines what your site looks like as a whole by changing individual elements on the page. Don’t worry, anything you do can be put back if you don’t like it. Think about what is important to have on your site, and start there. Once you have dragged a widget to your primary side bar, click the arrow beside it to see what options are available, you will be able to change the name, number of incidences, and more depending on the widget itself. The menu on any website is linked to individual pages, the items and what they are called is entirely up to you. There are pages already set up for you, if you want to change the names you will go to this section and click the arrow beside the menu item to change it. Delete it if you don’t want to use that, or add a new item if you don’t see what you want. Here you add your Paypal details to your site. To find out how to use Paypal services on your site click here. This is where you set up shows or classes. Click here to go to our show set up help page. 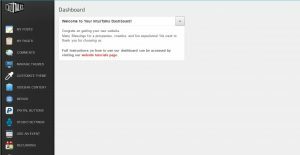 Adding an event places it on the show calendar on the IntuiTalks website in numerous places. It makes it easy to share and can be customized to each particular event theme. Click here to see how to add an event. Adding a recurring event saves you time if you have regular shows/classes of the same name. You can select a start and finish date, to find out how, click here. Testimonials give others an idea of the quality of your services or shows and provide valuable feedback. This page is for your clients and listeners to tell you what they think. You will receive an email any time a testimonial is posted so you can moderate or approve them.